Microsoft is good at making mice. 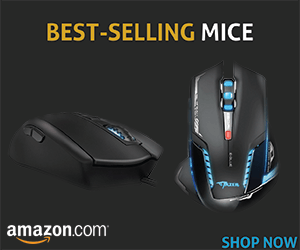 The technology behemoth has been in the business of making mice since 1982. 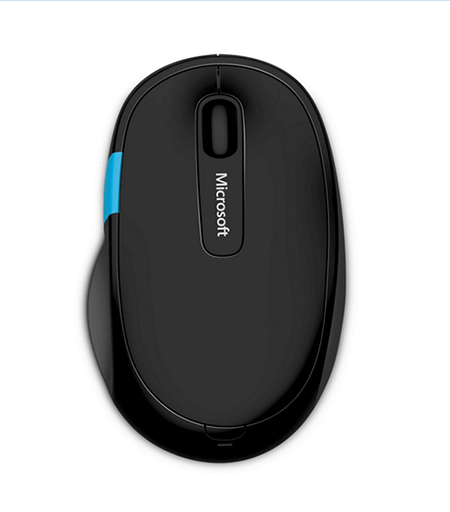 The Microsoft Sculpt Comfort Bluetooth mouse is designed for comfort. This basic mouse has won over many admirers with its design and high functionality. To use this mouse, you need to have Windows 7, Windows 8 or Windows 10 operating system and a 150 MB hard drive. Your PC should be enabled with Bluetooth wireless technology and you need to download the latest version of Mouse and Keyboard Center software. This elegant looking mouse measures 4.4 x 2.7 x 1.4 inches and weighs around 4.8 pounds. On the surface, it looks like a slick replacement pointer. It is powered by two AA batteries which should last around 10 months. The Windows touch tab in the mouse helps you to access the apps and the Start screen easily. You can customize it to click to Cortana, OneNote or Task View. This saves your time. The ease and speed of the Windows touch tab empower you to get things done with precision and control. The mouse also helps counter some of Windows 8 shortcomings if you have installed Windows 8 and your PC does not have a touch screen. Thanks to wireless Bluetooth 3.0 connectivity, you do not need a transceiver to connect this cool basic mouse to your PC. If you are tired of plugging a wireless adapter in and out, this mouse is just right for you. It easily pairs with your PC or tablet; you need not worry about using cords and easy-to-lose RF USB transceivers. This ergonomically designed mouse is contoured well for right-hand users. The rounded design on the right side of the mouse follows the slightly bent contour of your fourth and fifth fingers as you grip it. The mouse employs a standard basic-mouse layout. It has six buttons. The right-handed thumb scoop design and tilt wheel helps you navigate left, right, up, and down easily. The scroll wheel is located between the two buttons at the top. Navigation is a pleasure with Microsoft Sculpt Comfort Bluetooth mouse. 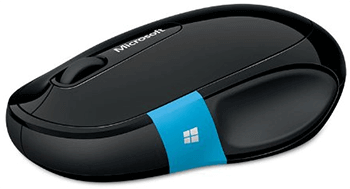 The Blue Track technology in this solid mouse enables it to work on any surface. You can use it in your favorite coffee shop or on any park bench. This basic mouse works with most Android tablets. The Microsoft Sculpt mouse is not flawless. The BlueTrack technology does not work on mirrored surfaces or on clear glass. Even though it works with Bluetooth-equipped Mac, not all features work. The mouse is optimized for Windows, as it is a Microsoft product. Some users are of the opinion that its touch swiping complements Windows 8, but works only intermittently on Windows 7. Also, it is not possible to set the pointer speed or snap-to in the mouse setup screen. Do not buy this mouse if you are a left handed person, the design is not ambidextrous. Overall, it is one of the best basic mice on the market. It empowers you to access your favorite Windows features quickly. It is reliable, customizable, not very expensive, and very useful.